Youdede worked with Zorgeloosch, Bol & Boosch and Foove on Rentemiddelingsdesk. 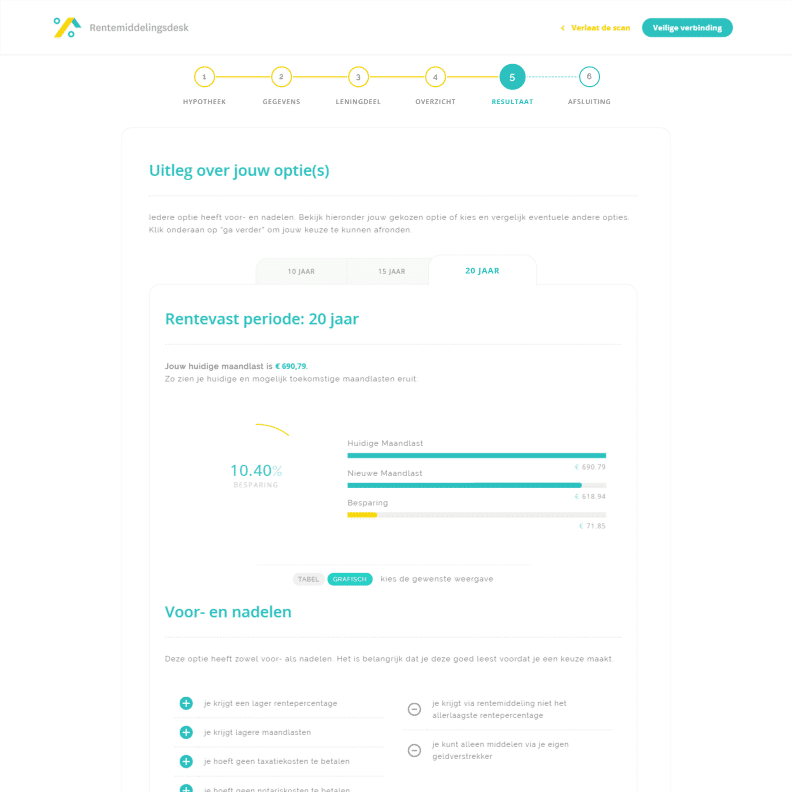 Rentemiddelingsdesk is a platform that helps users to save money on their mortgages. Youdede has created a showcase website and a robust application that is both fast and easily testable. The technologies used are Angular, PHP, MySQL and WordPress. 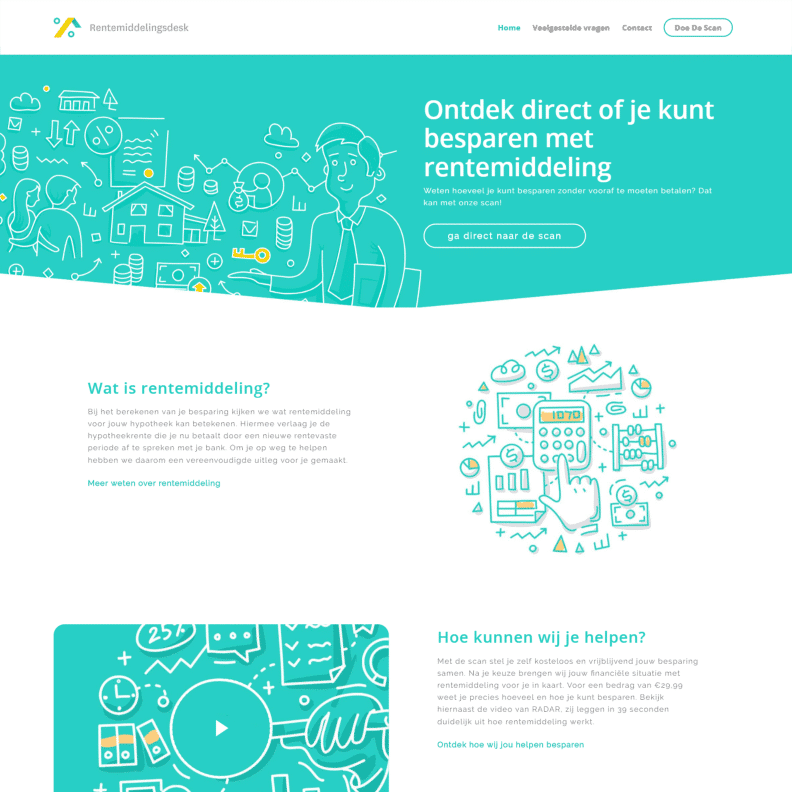 Rentemiddelingsdesk is a fintech company. It focuses on user convenience and transparency. The aim is to give to th user a fair picture of the interest mediation of your mortgage. Rentemiddelingsdesk provides a free and non-binding insight into the possible savings. 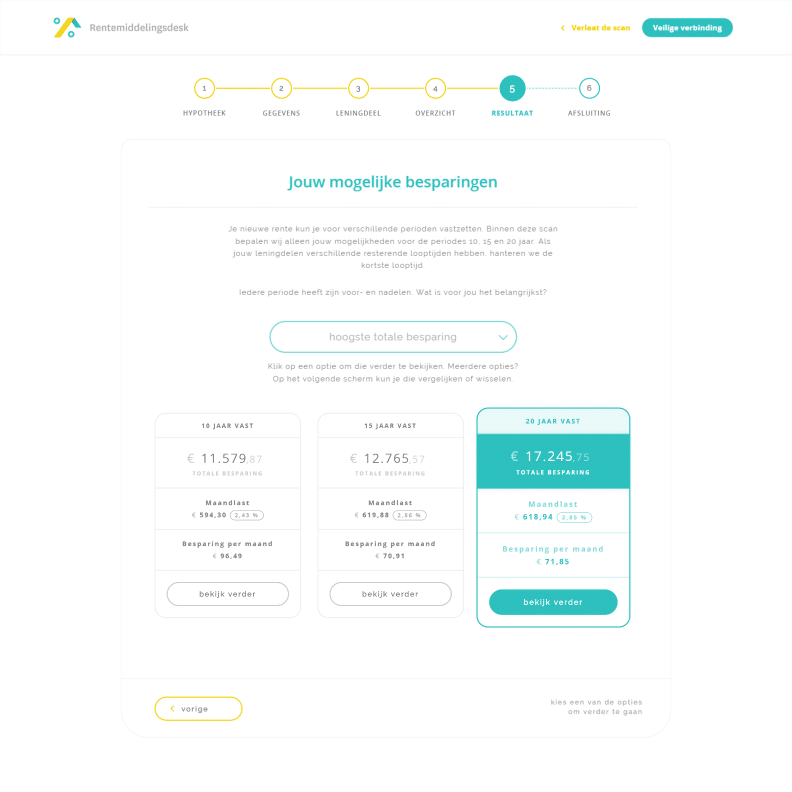 ”Youdede has built very complex financial calculations of the Rentemiddelingsdesk in a user-friendly online platform. Unbelievable how he realized this without knowledge of mortgages. In the first place, we have created the project's website. Second, we have defined a general design process. In the meantime, we have worked on creating the application considering many tech alternatives. Finally, we opted for a WordPress plugin based on Angular. We respected all the deadlines and required functions, creating a pleasant teamwork. A set of fully modular, component-­based Angular app. A codebase that can be easily scaled to allow for new functionalities.